Kill Team: Commanders Pre-Order Now! If you’ve been yearning for a murderous champion of the Dark Gods to lead your kill team in the slaughter of your foes, you haven’t got long to wait – Kill Team: Commanders is available to pre-order tomorrow! We’ve already covered the various Imperial and xenos Commanders earlier in the week, so now it’s the turn of Chaos! 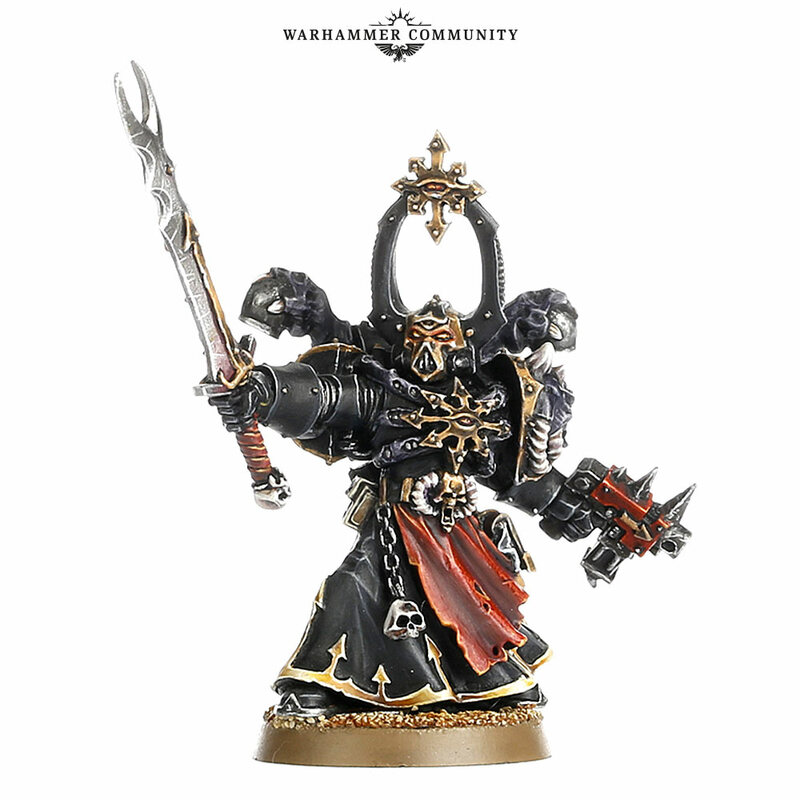 Regardless of your choice, a Chaos Commander will add a powerful new asset to your kill team; their skill, influence and sheer killing power is unrivalled even by the Leaders or specialists of your foes. Let’s take a look at the dread Commanders who will soon be joining the kill teams of Chaos. The Commanders of the Heretic Astartes take the form of Exalted Champions and Sorcerers. 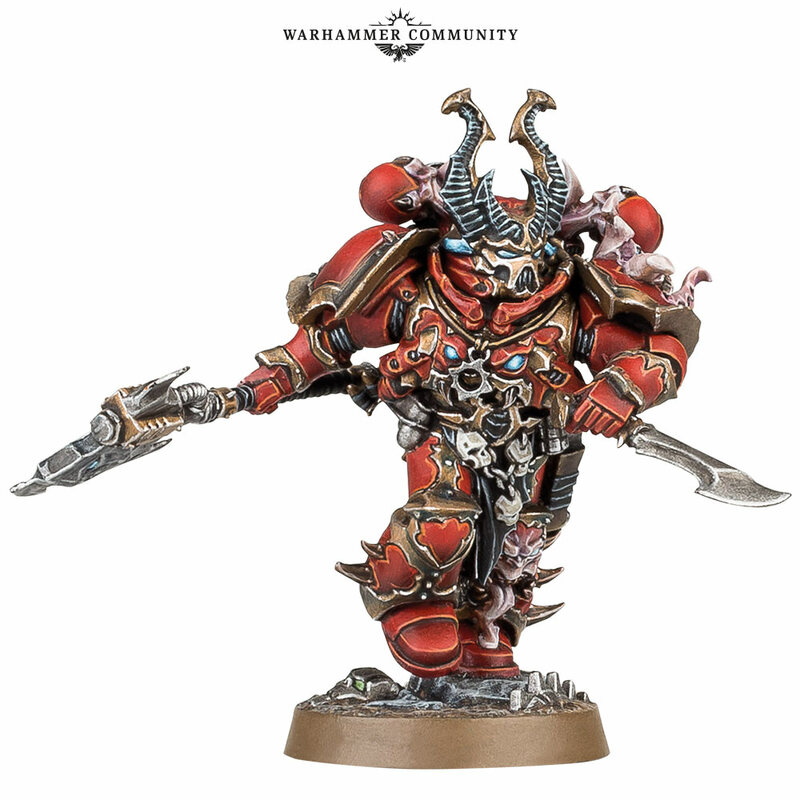 Each is a skilled warrior in their own right, and can provide nearby models from your kill team with some powerful aura abilities. 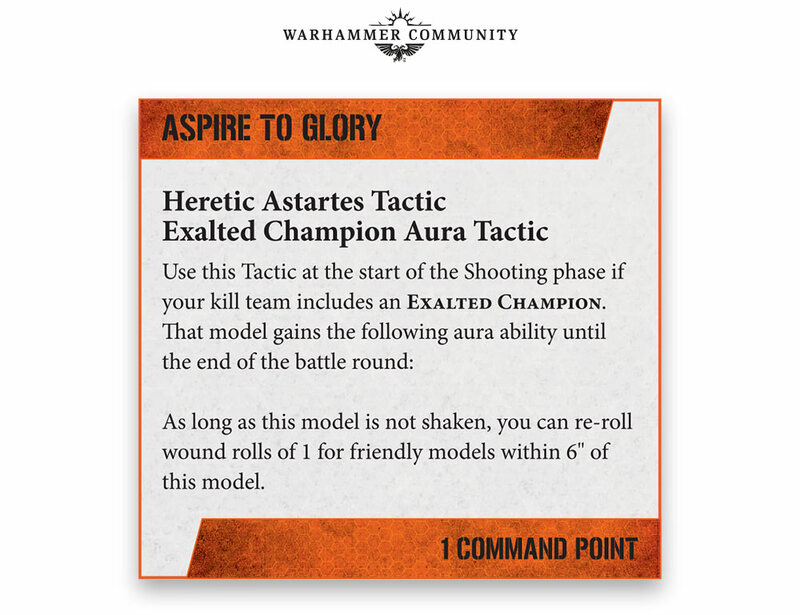 In the case of the Exalted Champion, this takes the form of the Aspire to Glory Aura Tactic, which is useful both in melee and at range. 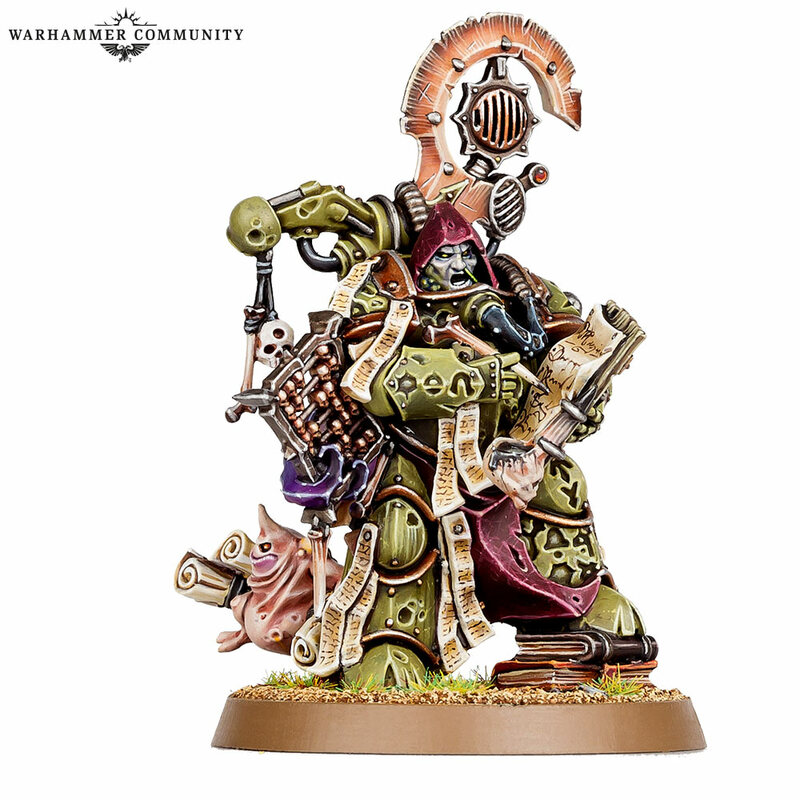 A Sorcerer, meanwhile, augments his allies through his mastery of the warp. 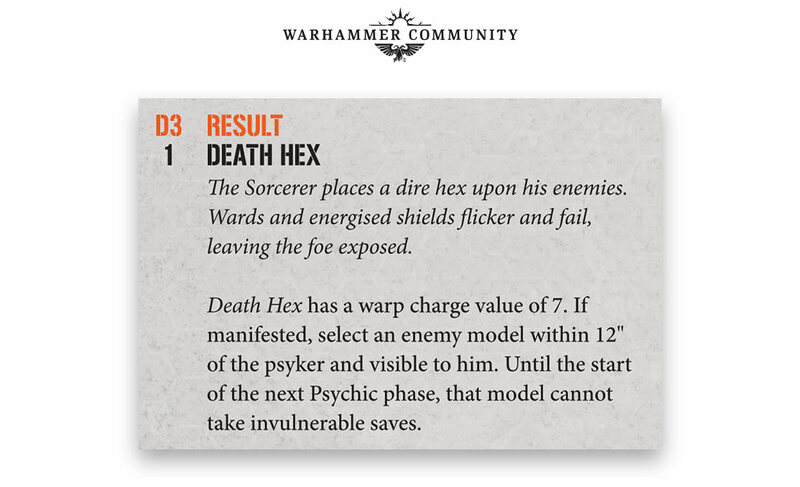 Try casting Death Hex on a target that you’ve just charged with a tooled-up Combat specialist, then use Diabolic Strength to help him finish the job. 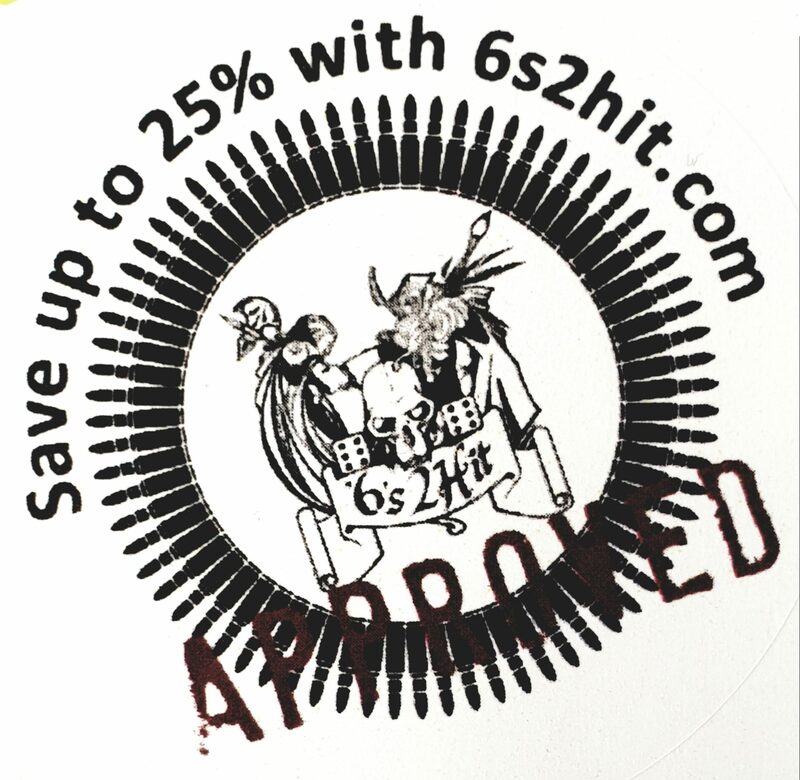 Even an enemy Commander could fall to such a combo! 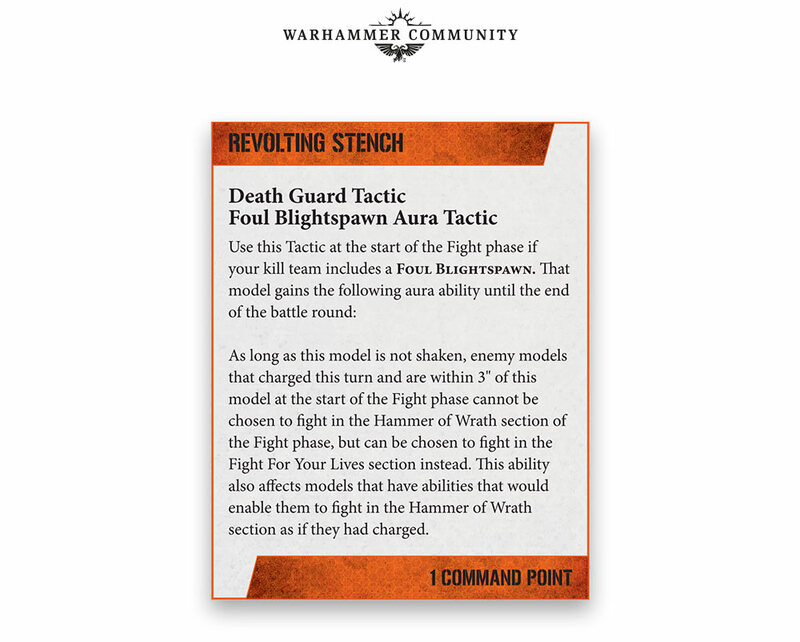 Death Guard kill teams are blessed with no fewer than four Commanders to choose from. 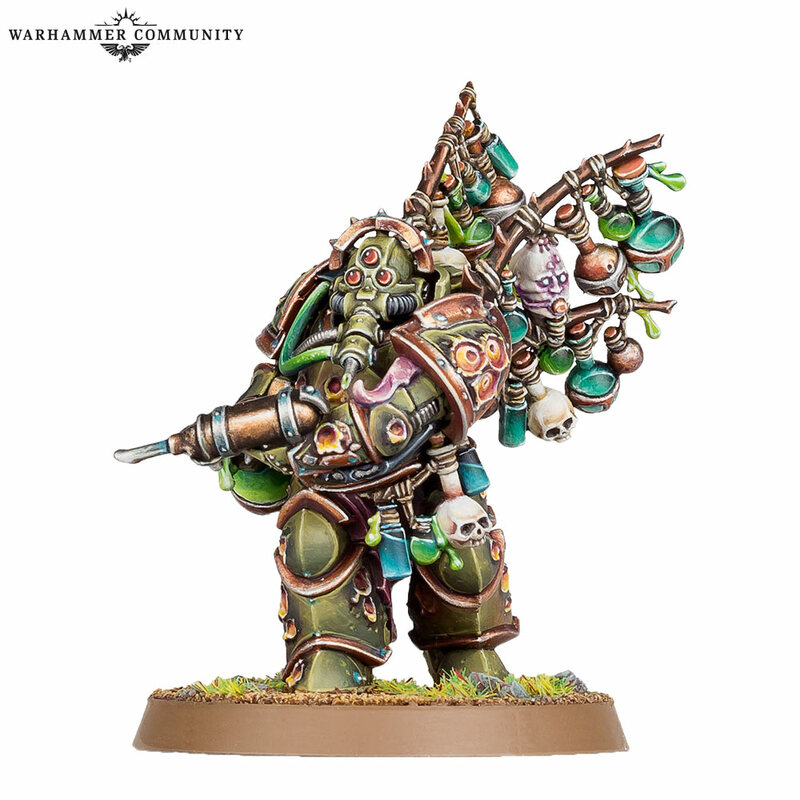 First up is the Foul Blightspawn, who can single-handedly blunt an enemy charge with his Revolting Stench Aura Tactic (see below). 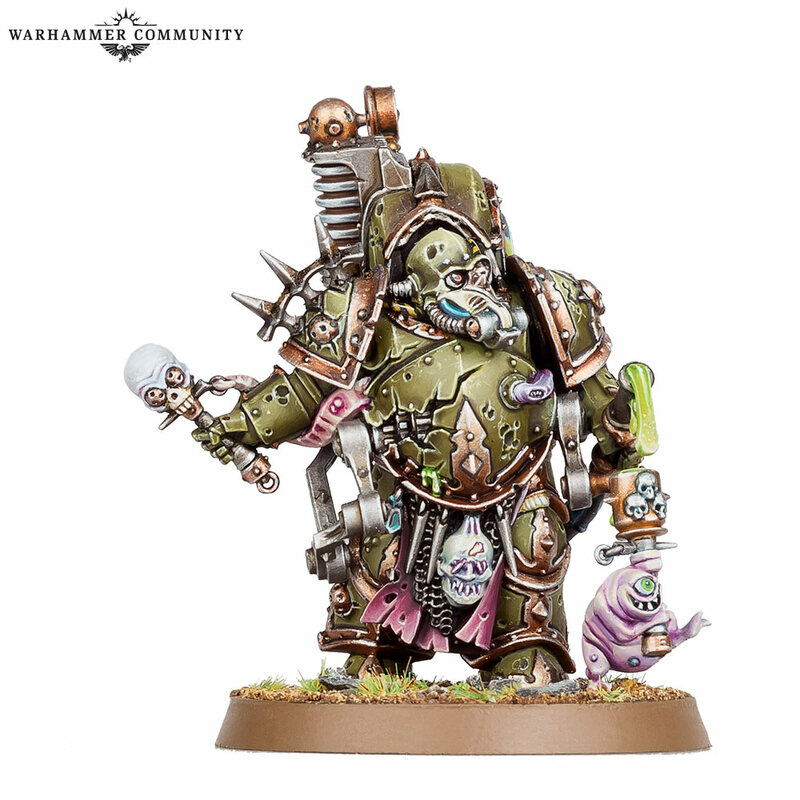 And if you’ve got a Plague Marine with a great plague cleaver or flail of corruption nearby to counter-charge with, your opponent will be in real trouble! 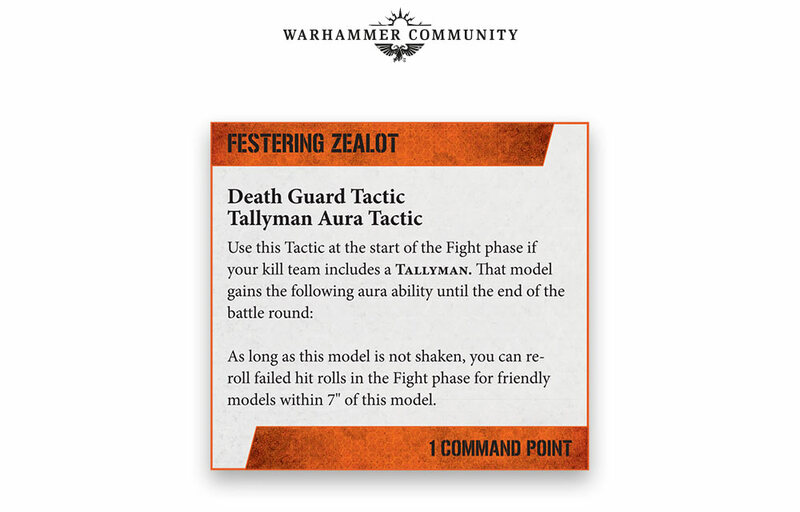 A Tallyman is another useful Commander, not only for the potential to recover any Command Points you spend with The Seven-fold Chant, but also for the ability to greatly augment your kill team’s melee capabilities with his Festering Zealot Aura Tactic. Next up is the Biologus Putrifier. His hyper blight grenades not only have devastating hitting power, but their augmented profiles can even be passed on to nearby allies through the use of his Blight Rack Aura Tactic. 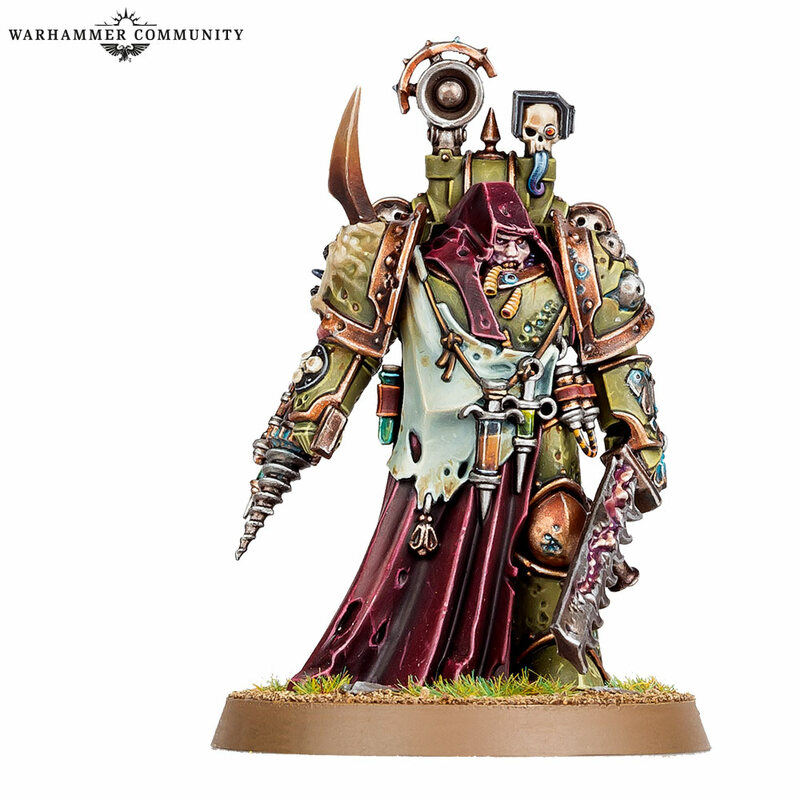 Finally, the Plague Surgeon is your ultimate answer to any Adeptus Astartes enemies, for his Gene-seed Thief ability makes his balesword and krak grenades especially effective against them. 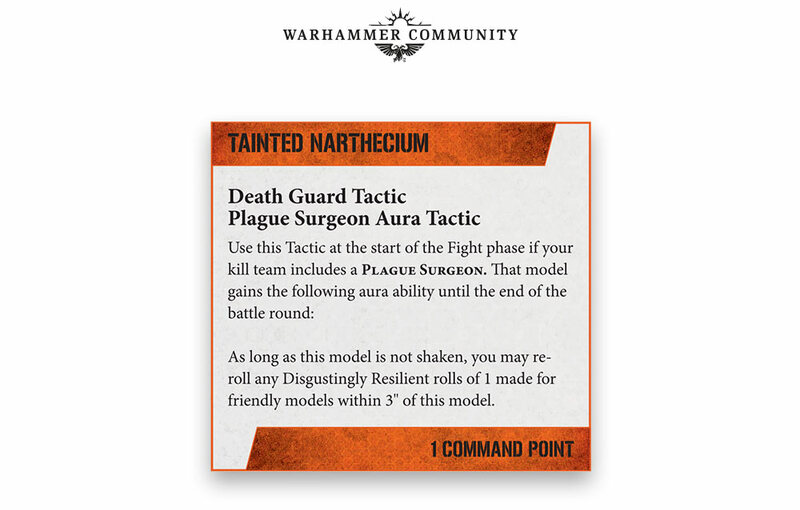 And if you’re expecting a tough fight, just activate his Tainted Narthecium Aura Tactic to make nearby warriors even harder to kill – and for the Death Guard, that’s saying something! 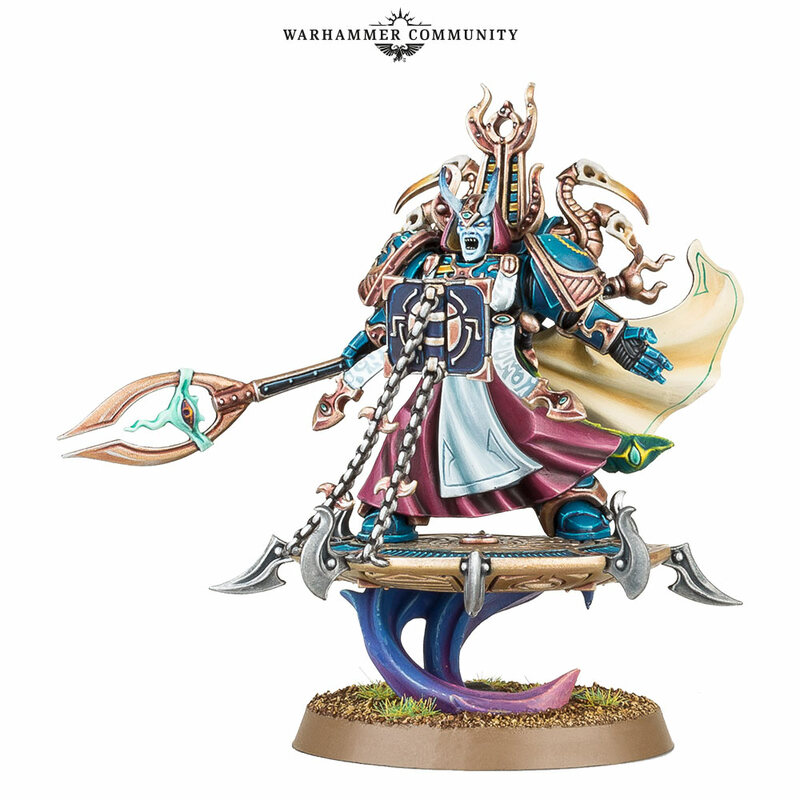 The Thousand Sons have a choice between an all-powerful Exalted Sorcerer and a Tzaangor Shaman. 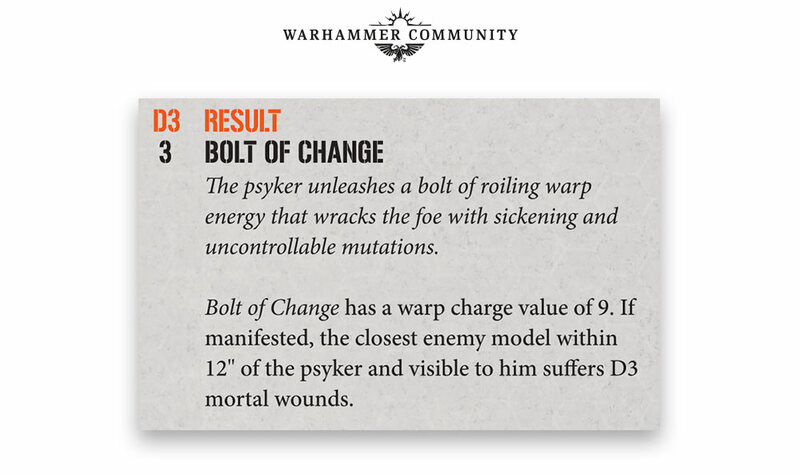 Both benefit from a 5+ invulnerable save and are able to wield powers from the Discipline of Tzeentch, including the devastating Bolt of Change. 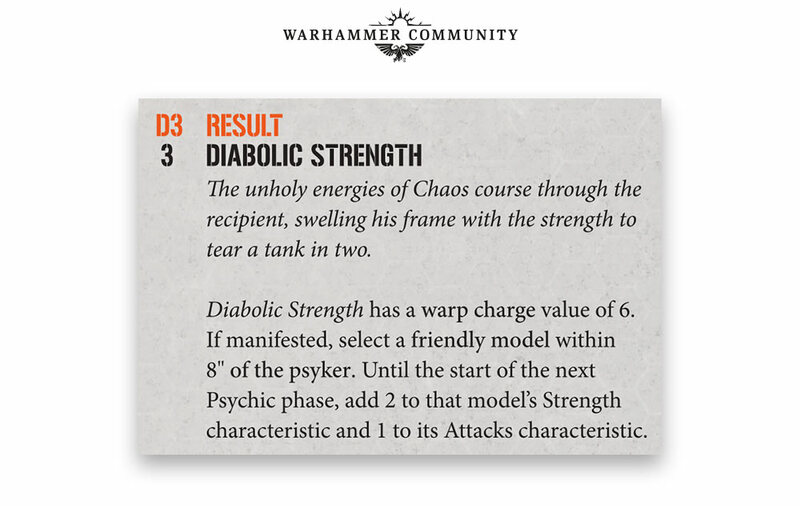 As a magister of many thousands of years’ experience, an Exalted Sorcerer is obviously the more powerful psyker of the two, though the Tzaangor Shaman can drink its Sorcerous Elixir for a second chance to cast that one crucial power during the battle (like the aforementioned Bolt of Change). 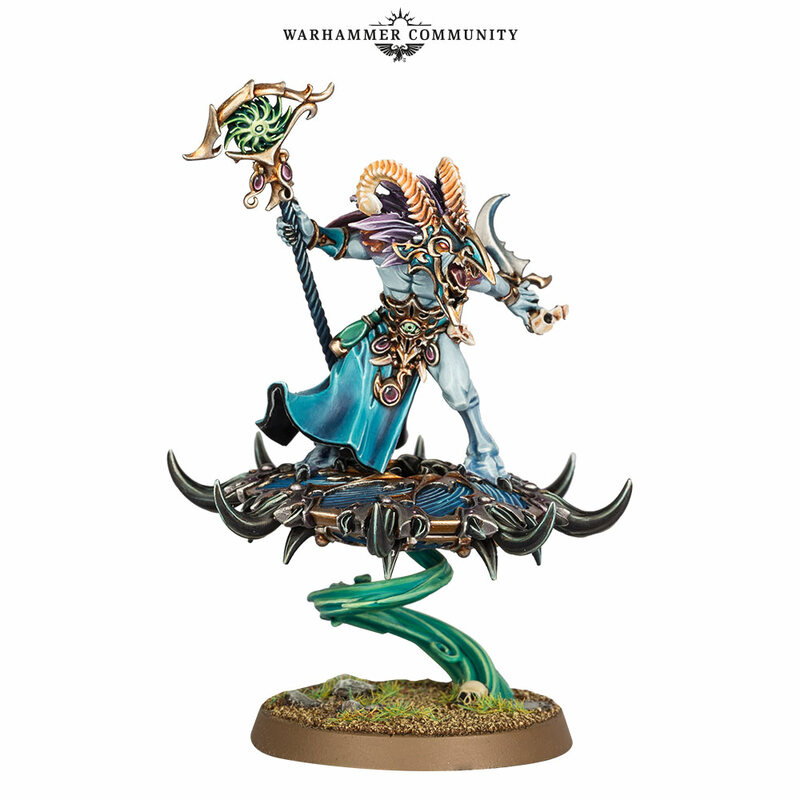 In addition to being a skilled psyker, the Exalted Sorcerer is a capable all-rounder and, like the Tzaangor Shaman, is even able to ride a Disc of Tzeentch. These daemonic platforms offer their rider a 12″ move and the means to Fly – as terrain is often very dense in games of Kill Team, this combination of speed and freedom of movement is a huge advantage.